The Assemblyman for Garadima electoral area of the Atebubu-Amantin district, Hon. 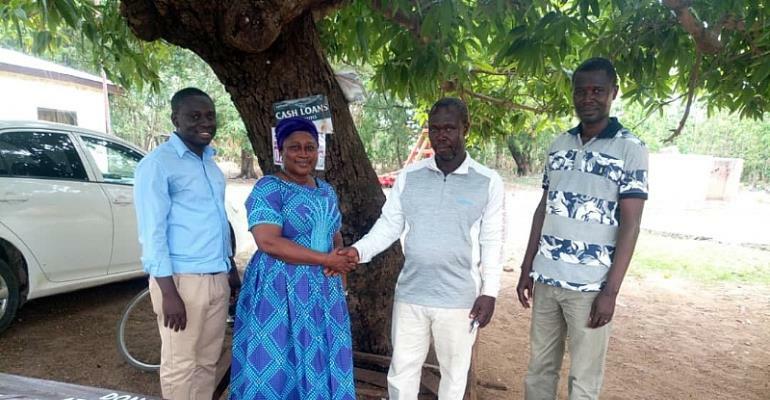 Awudu Samadu Tahiru has presented a total of 20 benches and one office chair at a total cost of GHC 1,450.00 to various institutions in the municipality. Making one of such presentations to the municipal assembly in Atebubu, Hon. Samadu Tahiru said the gesture was borne out of the desire to see daily activities run smoothly at the various beneficiary institutions. “Anytime I pass by the police station for instance, I see a lot of people standing even as they wait to be attended to a situation I think is not good enough”. He said. Other beneficiary institutions included the Garadima branches of the Roman Catholic Church and the Church of Pentecost, the Garadima CHPS compound which also benefited from the office chair and the Atebubu Police station. The municipal coordinating director Hajia Fati Saaka who received one of the benches on behalf of the assembly praised the donor for his public spirited effort and hoped others will emulate his example.